Spiritual Energy Therapist Chris Wheeler, CST conduction an energy therapy session on a client (photo). Energy is the foundation of everything that exists. Our physical, emotional and spiritual health will be reflective of the vibration or frequency of our energy system. The human energy system consists of the field (aura) and the chakras. The chakras are the energy vortexes that support the different organs and systems of the body. The major chakras are located down the midline of the body and extend from the center power channel, out the front and the back of our physical body, into the energy field. Our thoughts, emotions, beliefs, and past impressions will determine the health of our energy system. Because we are energy beings, we begin to pick up on the emotions, feelings, and attitudes of those around us. Our experiences, both positive and traumatic, leave their impression on our energy system. These impressions begin to form how we experience the world, our circumstances and eventually our physical, emotional and spiritual health. Negative impressions, emotions, and thoughts can begin manifesting as anxiety, depression, disconnect, or the inability to make clear decisions. Because our cells have memory, we can also begin to develop headaches, digestive issues, chronic pain, and disease. Energy therapy will address these things that may be at the core. It clears, rebalances and restructures the energetic patterns left behind in our energy system and cell tissue, providing a way to release these impressions from our physical and energetic body. Exploring our stored emotions, beliefs, and thoughts about ourselves, our self-worth, our abilities and who we are can begin the healing process. This can be a wonderful modality to enhance any traditional medical treatments that we are utilizing in our healing journey. A spiritual energy session is 90 minutes and begins with sitting together and exploring what you are experiencing in your physical, emotional, mental and spiritual state. A clear intention is set by the client, guiding the direction of the healing session. It is important that the client feels safe and in control of the direction of the session. While on the table (about 60 minutes) we may continue to explore these issues as we release, clear and rebalance the energy system. This can include both a light touch and hands-off approach, unlocking and releasing what is present. This process will raise the vibration of the client's energy system, which decreases the opportunity for disease and disharmony in the body, mind, and spirit, thereby, increasing one's overall well being. 1. Does this work drain the therapist’s energy? Because we are working with Universal healing energy not our own this does not use the therapist’s energy. It is, however, important that the facilitator remains grounded and expanded so that they can stay open to this energy and clear on their role as a facilitator in the healing session. 2. Will this work open me up to negative energies? In this type of energy therapy, we are working with Universal healing energy, light, and love. In the presence of this healing energy and light, there is no access for negative energy, that is why fears, anger, resentment, shame, and blame are released from the client's field and replaced with the healing light vibration. This higher vibration doesn’t allow the more negative energies to remain. Chris Wheeler, CST specializes in Upledger CranioSacral with a focus on SomatoEmotional Release (SER) and pediatrics and became part of the teaching assistant staff. She studied various forms of energy therapy and medical intuitive courses, was a graduate of EnergyTouch™ Therapy in 2006, and was on staff as a teacher assistant until 2013. 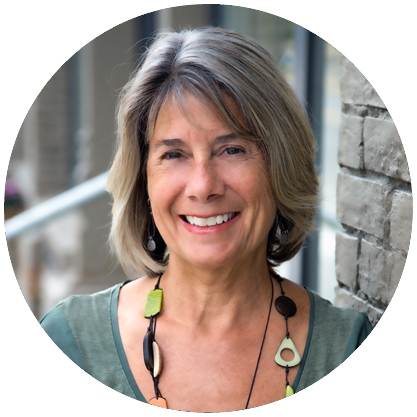 She currently practices CS and ET Graduate from CMED, a study of the Archetypes and Sacred Contracts taught by Carolyn Myss and now co-leads Archetypal classes and retreats and graduated from a two-year International Spiritual School in New York.